Insurer alleges the facility forged customer signatures and charged for ADAS recalibrations not performed, alleging US$1.9 million in damages across more than 2,800 claims. According to GEICO’s complaint, the defendant submitted documentation from a Pilkington Opti-Aim device that included a serial number for a device sold and used by a repair facility in Montana. GEICO alleges that its customers’ signatures were forged on invoices submitted to GEICO for repairs by A & E Auto Glass that were never performed. Also, GEICO alleges it was billed for repairs associated with recalibration of Advanced Driver Assistance Systems (ADAS) using falsified documents. In many instances, such a system was not even available on the specific make and model of the vehicle being repaired. In addition to billing for services which were never provided, the suit alleges that the defendants submitted fabricated documents from Arizona automobile dealerships for reimbursement of glass parts that were never purchased. According to GEICO, the glass shop typically charged US$250-300 for ADAS services. 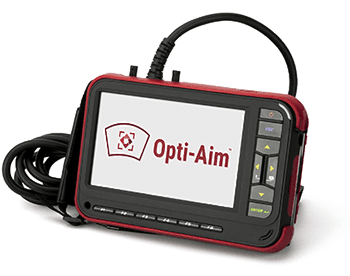 As part of the documentation for the ADAS service, it included reports generated by a Pilkington Opti-Aim device that included the serial number of the device. GEICO, in its complaint, alleged that the device in questions was sold to and is being used by a Montana glass shop, not A & E Auto Glass. GEICO submitted a list of over 2,800 claims it identified as of the filing of its complaint that it alleges contained fraudulent charges. According to the complaint GEICO filed in the case, the fraud began as early as late 2017 and continues uninterrupted through the present day. GEICO intends to file future lawsuits to continue making every effort to protect its customers and the public from fraudulent glass repair operators. In its complaint, GEICO said that Arizona law permits insurers 30 days from their receipt to handle and pay a claim seeking payment for windshield repair or replacement. While the 30-day claims handling period helps to ensure that legitimate claims are paid in a timely manner, GEICO says “…it also creates perverse incentives for glass shops to engage in fraudulent practices” since insurers would have to have a good cause to delay payment or face interest expenses.